This week we decided, at work, to start rotating and each Friday we take a little “brunch break” at work. Not only does this give us a little break in the morning but each one of us gets to make something and share the recipe with the rest of the bunch. One of my co workers was searching recipes and kept asking “can you have this?” and “can you have that?” Of course when it comes to biscuits, pancakes and so many other breakfast foods, they are off limits for me. The poor girl was trying so hard and I kept having to say no. I will start with the question. You do it because you have to. Believe me, this isn’t something that I’d choose. I do miss eating pancakes at a restaurant, biscuits and gravy on a buffet and egg rolls. Oh, how I miss egg rolls. But it’s something that is necessary for me to live. To not live in pain. To remain healthy. You read labels, all of them, because wheat is hidden in so much. Then to “you can’t eat anything.” Well, if you mean you can’t get a Big Mac from McDonald’s, then yes. Not that I’d eat that if I could…nasty. You can eat, you just have to do research and, yes, it does take time and effort. But I eat, I eat a lot. You just learn what you can and can’t have. You learn to shop around the outside of the grocery store, which is typically the healthiest choice anyway. I eat lots of brown rice, quinoa, veggies and chicken. I get creative. And yet, I don’t look all skin and bones. I feel bad for my co workers and anyone else that tries to cook for me. Some of my friends have become experts in reading labels, in asking and, when all else fails, in sending me pictures of the labels of foods I may eat at their homes. It isn’t the easiest thing in the world but it’s done because it’s needed. And that’s how I do it…the short version! I have a friend who is constantly chastising me for not getting enough calcium. I’m not a milk drinker, I don’t eat yogurt, and, in general, don’t have a lot of dairy in my life. I know there are other natural sources to get calcium from but I don’t think I get enough from those sources either. So the other way is to take a supplement, which is not my favorite thing to do. After many conversations with my friend, he brought up a good point about me having Celiac Disease and how the lack of calcium intake could hurt me. 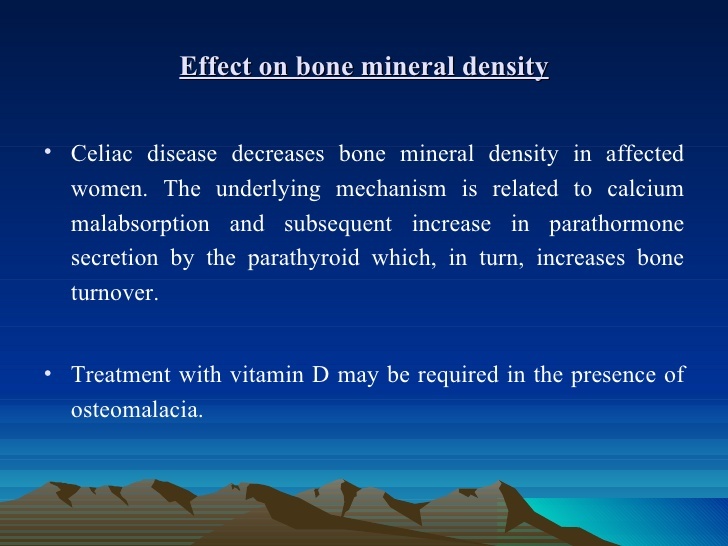 I hadn’t thought about it past the “you should take calcium because you don’t drink milk” thing so I started doing some research on calcium deficiencies in those of us with Celiac Disease. An article from celiacdisease.about.com stated that, once you have Celiac Disease, the chances of a dairy intolerance rises. 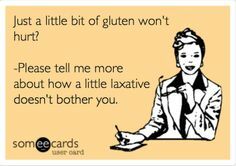 Unfortunately, I know that to be the truth as many of my friends who are Celiac are also lactose intolerant. With lactose intolerance, you get less calcium and vitamin D so your chances of brittle bones and osteoporosis increases dramatically. Another thing that plays into this is that the longer Celiac Disease goes undiagnosed or untreated by a gluten free diet, the less our bodies absorb minerals and vitamins. This means that it will take longer for our bodies to play “catch up” on the necessary nutrients our bodies need. It also means that our bodies have a chance of breaking down and they may not ever “catch up” to where they should be nutrient wise. Damage sometimes cannot be undone. So where do I get calcium naturally, especially if I’m not a dairy eating/drinking person or if I’m lactose intolerant. What if I HATE taking vitamins? Both articles mention sardines (ick), tofu (not a fan of soy products), some greens (collards, turnip greens, kale) or vitamin fortified orange juice (just make sure it is gluten free). Almond and soy milks are now sometimes calcium fortified as well. I’m honestly pretty good with my vitamins. I take a spray vitamin B12 and D (yes, I said spray and it’s the best thing ever invented) and now I take calcium too. I’m sure there are other vitamins that I should be taking like zinc, etc. but it’s all about baby steps. Now my friend can rest easy because I take my calcium. And I can rest easy that I’m trying to prevent a health catastrophe in my life. Don’t forget to follow me on Facebook and on Twitter for updates and fun tidbits! A lot of what I do is education: education on eating gluten free, education on what Celiac disease is and education on why it’s important for me to remain gluten free. There have been many people lately that have taken stabs at those eating gluten free (one of my earlier blogs speaks to the ignorant Joy Behar) and the most recent is NBC. As a news agency, along with an entertainment portion, they have done stories on eating gluten free, on Celiac disease and why the sudden boom in the gluten free food industry. They have done studies on why the importance and, as someone who once worked for the local NBC affiliate, I was embarrassed and saddened when this Super Bowl ad made an appearance online. Luckily, a fellow blogger by the name GlutenFreeDude took matters into his own hands and started circulating a petition that would remove this ad from TV. Kudos to him for doing this as it caused a ruckus and the ad was edited. For all the education I try to do in my community, it’s things like this that seem to be a set back…or is it? Maybe, in some weird way it’s actually bringing the topic, the reality, to light and gives me a platform to be able to talk to people about WHY it’s important to be gluten free. Why it’s not a funny topic, just like other medical condition aren’t. You wouldn’t joke about cancer so why joke about this? Celiac disease can be deadly, ask my dad who nearly died before being diagnosed. As frustrated as I was when I first saw the ad, and as frustrated as I was today reading how those who reacted to the ad were “pansies” among other verbiage, I see an opportunity to give reality to what some people think is “all in my head”. So I will continue with what I feel has been given to me, a torch to carry. 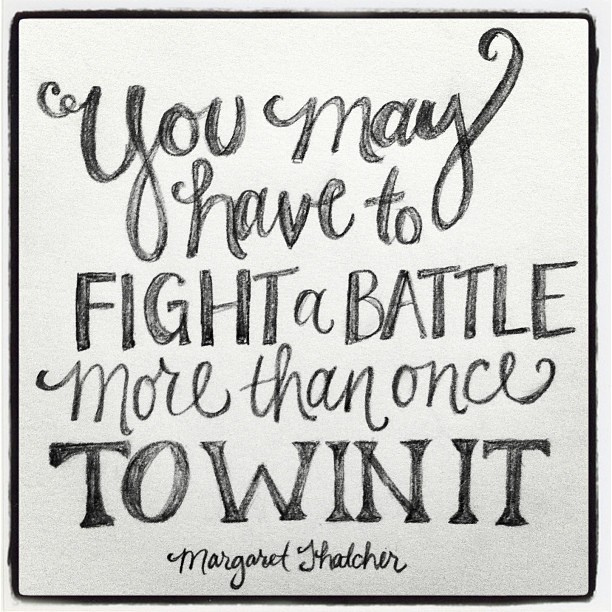 And I will continue helping people through struggles…this is how I feel, this is only the beginning, just one battle. Tomorrow I start a detox. Yup, with the new year, it’s time to get back into line. I had been doing pretty well until the two weeks before Christmas and then it was all bets off. It’s so easy to get into bad habits of eating things that aren’t good for you or having a few more beers a week than you used to. All of a sudden you’ve gone from pretty in shape to having a tire around your middle that wasn’t there just a few short weeks ago. I know that the New Year typically means that people hit the gym more, make resolutions to eat right or start a diet and just to be healthy overall but why does it take the New Year to push us in that direction? And how many of us stick to our “diets”? I started with Arbonne almost a year ago. For those that don’t know, Arbonne is a health and wellness company and, through the consultants, we do a 28 Day Detox Bootcamp as I call it. Others call it a Clean Eating Program, it’s all the same. I did my first one in May of 2014. I sell the products, I should know how they work, right? Boy, was I in for a treat. It’s an amazing program where you eliminate foods that are known allergens (dairy, gluten, soy) as well as other items that are acidic to your body like coffee, alcohol, soda and the like. I’m already gluten free so that part was easy for me. The hard part, I thought, would be giving up soda and coffee since I knew I was addicted to both. What I learned about myself and what I put into my body was amazing! For one, our bodies store the acidic items in our fat cells and is why we gain weight. Think about a water balloon as a fat cell. As you add acidic items (water) to the cell (balloon), it gets bigger. As you remove acidic items (water) from your diet, the cell (balloon) shrinks. Another thing I learned was that our bodies will go through a withdrawal process when eliminating items but my biggest one wasn’t caffeine, it was sugar. Sugar is in EVERYTHING. It’s crazy. Third, I learned what was important to my body and when to listen. For the first few days I felt like I was in a fog and couldn’t think right. I figured out that I was missing healthy fats and when I incorporated almonds and avacados into my diet almost every day, I was a wiz! Most people lose weight on this detox but they lose inches and that’s what I was most impressed with. I also felt better and my dad, an almost 40 year diabetic, was able to reduce his insulin to the lowest he’s ever seen. I’m not trying to sell this product, I’m saying that I’m ready to get back to healthy. I’m ready to get back to feeling good and getting rid of my spare tire I’m developing. It’s not a New Years resolution, it’s a lifestyle change. I’m not saying, after my 28 days, that I won’t have a drink here or there, eat some nachos, or have a cupcake but for the most part I’m going back to healthy and getting rid of the bad that’s lurking out there. By the way, if you haven’t read the book “Wheat Belly”, I highly recommend it. I am in the midst of reading it and you will be amazed at how food production has changed and will make you rethink what you put in your body!